Find out about the Real-life Downton Abbey- no movie magic here. The true and fascinating story as told in Lady Almina and the Real Downton Abbey. Lady Almina and the Real Downton Abbey tells the story behind Highclere Castle, the real-life inspiration and setting for Julian Fellowes’s Emmy Award-winning PBS show Downton Abbey, and the life of one of its most famous inhabitants, Lady Almina, the 5th Countess of Carnarvon. Drawing on a rich store of materials from the archives of Highclere Castle, including diaries, letters, and photographs, the current Lady Carnarvon has written a transporting story of this fabled home on the brink of war. RIFers in book groups! Here’s a delightful pairing: read Lady Almina and the Real Downton Abbey and watch the hit PBS show Downton Abbey – sure to inspire a lively discussion! Check out this The New York Times article, “If You’re Mad for ‘Downton,’ Publishers Have Reading List,” for even more reading suggestions. 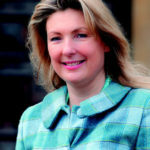 FIONA, the 8th Countess of CARNARVON married Geordie, the 8th Earl of Carnarvon in 1999, and they acceded to Highclere ten years ago upon the death of Geordie’s father. 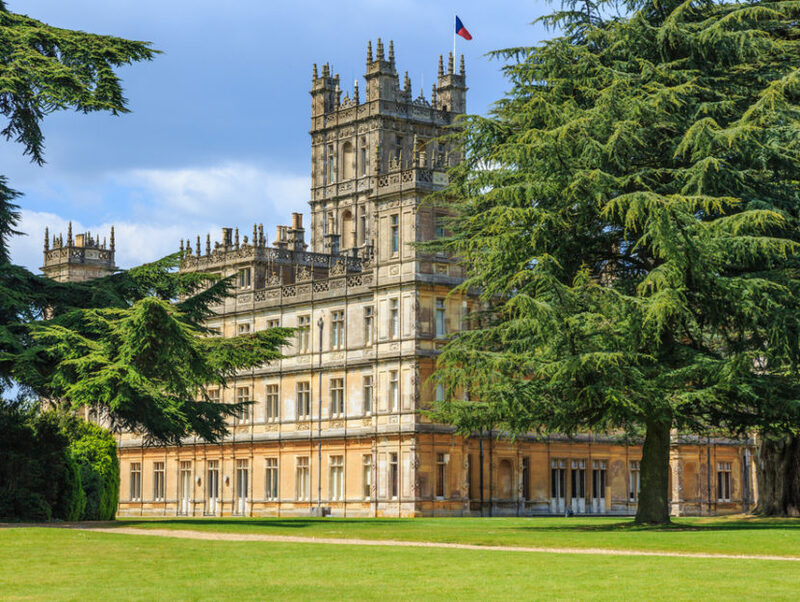 Highclere has become one of the most famous houses in England as the location for the PBS series Downton Abbey.